Located just west of Charlotte, Gaston County offers families plenty of options for a weekend getaway. With museums, parks, nature trails, and some of the region’s best hiking, mountain biking, and paddling, it’s easy to plan an adventurous day trip or a quick vacation. You’ll also find lots of family-friendly programs that mix fun and learning for all ages. Ready to see for yourself? Start thinking about your next family outing with our guide to the top weekend adventures in Gaston County. 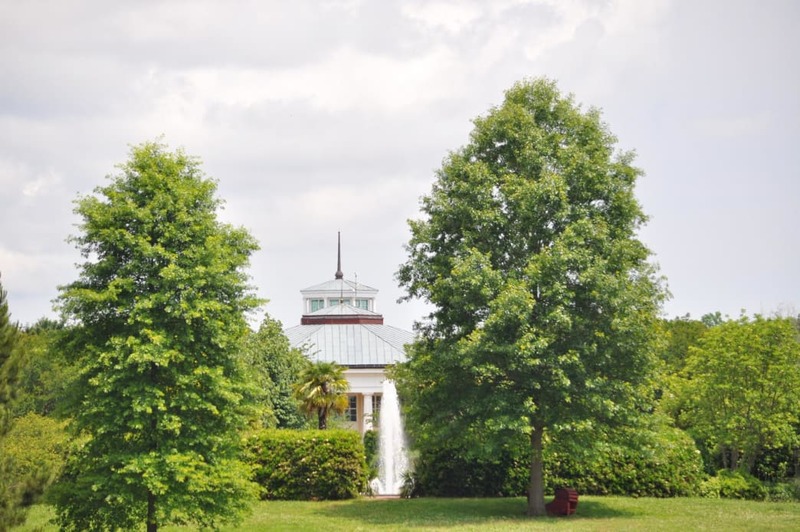 At the Daniel Stowe Botanical Garden, you’ll find a landscape that changes with every season as you explore the 380 acres of fountains, trails, and formal gardens. Introduce your kids to bright blooms and exotic scents in the orchid conservatory, then stroll the symmetrical promenade in the Canal Garden. If everyone’s up for the distance, continue your walk through the Ribbon and Serpentine Gardens to the back entrance and Meadowood Walk. From there, you can follow the trail almost to the shore of Lake Wylie. The next stop is the enchanting Lost Hollow Children’s Garden. Kids will love the fairy tale setting, so let them run around as you relax by the garden pond. When everyone’s ready to leave, return to the Visitor Pavilion for a stop at the Garden Store on your way out. If you have older kids, you can pick up the Persimmon Trail at the entrance for the five-mile loop hike to Lake Wylie. Check the garden calendar for guided hikes, arts & crafts, storytime, and science workshops on pollinators, birding, worm farming, and more. It’s just over five miles out and back or around the loop trail to Daniel Stowe Botanical Garden, on the Seven Oaks Preserve Trail. Young children will love the short hike to views of Lake Wylie, while older kids will enjoy the challenge of the full distance. The path is bike-friendly, too, so it’s a perfect beginner ride for teens just learning to mountain bike. Seven Oaks is also a great place to train for the family-friendly trail and road running events hosted by Run Gaston. Once you discover the Schiele Museum of Natural History, don’t be surprised if it becomes one of your kids’ favorites. It’s just the right size for a leisurely half-day trip without the crowds of bigger museums. Exhibits on North American wildlife, animal habitats, and Native American tribes keep it interesting, and a Creepy Nature exhibit debunks myths about vampires, aliens, zombies, and mummies. There’s always a new show to watch at the planetarium, which is the second largest in the state. Traveling exhibits feature wildlife artists, dinosaurs, and more. And that’s just on the inside—outdoors you can explore a .7-mile nature trail, wildlife garden, and a Catawba Indian Village. The 18th-century backcountry farm, complete with hogs, sheep, and chickens, shows what life was like for Gaston County’s early settlers. Close to Gastonia, Rankin Lake Park is another excellent place for a family hike or bike ride. 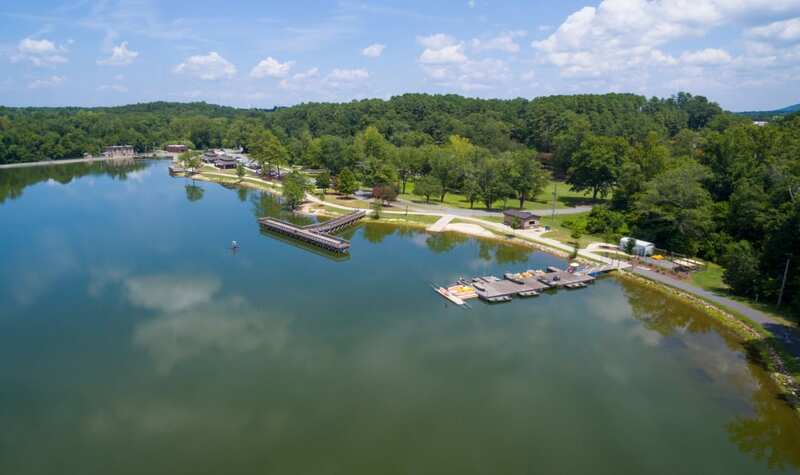 A paved 1.5-mile trail circles the lake, and you can also enjoy fishing from two piers, two horseshoe courts, and an 18-hole disc golf course. (Note that the stretch of trail from Rankin to downtown is currently under construction.) 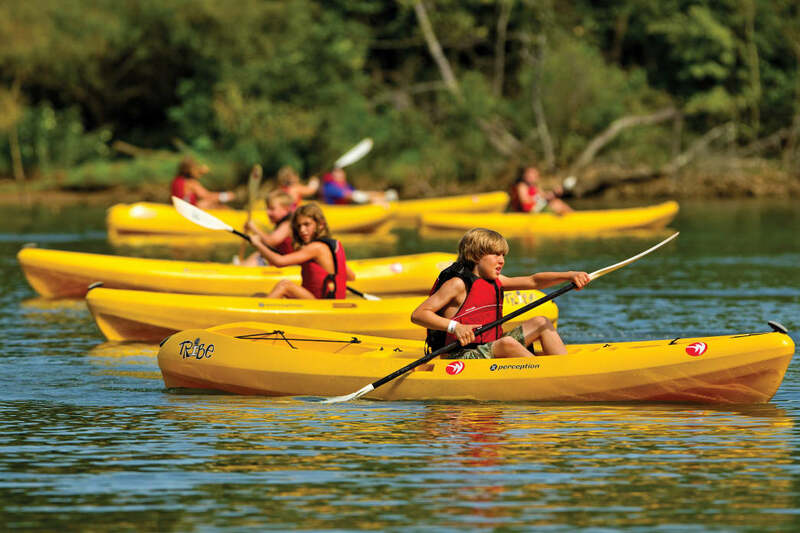 You can even rent flat-bottom jon boats, kayaks, canoes, and paddle boats during warmer months. Families with older tweens and teens will enjoy the run or bike ride to downtown Gastonia on the 1.5-mile paved Highland Rail Trail. Pack a picnic and head to Goat Island Park for a day of play right across the South Fork River from downtown Cramerton. Kids will love the ropes and towers on the huge playground, right next to the fitness pavilion for older kids and adults. A dog park and almost a mile of paved greenway is perfect for strollers and young kids on bikes. Play disc golf on the 18-hole course or go fishing off the pier at the tip of the island. There’s even a boat launch where you can start your a paddle trip on the South Fork Blueway. If it’s not picnic weather, take a leisurely walk across the footbridge to Mayworth’s Public House or Doffer’s Canteen for lunch, followed by a trip to Floyd & Blackie’s for ice cream. What better way to bond as a family than with a bit of team competition? Block out April 25-28 for Tuckfest, the Whitewater Center’s annual celebration of spring. There are youth and family competitions every day and, since one entry fee gets you into all of the competitions, you can compete solo and cheer each other on. Compete in youth obstacle races, the family-friendly dog jog, and family obstacle races. Enter your selfies in the photo competition, try kids yoga, or run the youth trail race. With sports clinics, equipment demos, and outdoor skills workshops to fill in the gaps, it’ll be a weekend packed with outdoor adventure for the whole family. If that weekend doesn’t work, the U.S. National Whitewater Center is one of the region’s top attractions for outdoor activities, including whitewater rafting, climbing, hiking, kayaking, and mountain biking. For families who like to be active, you’re guaranteed to get a lot of smiles on any trip here. 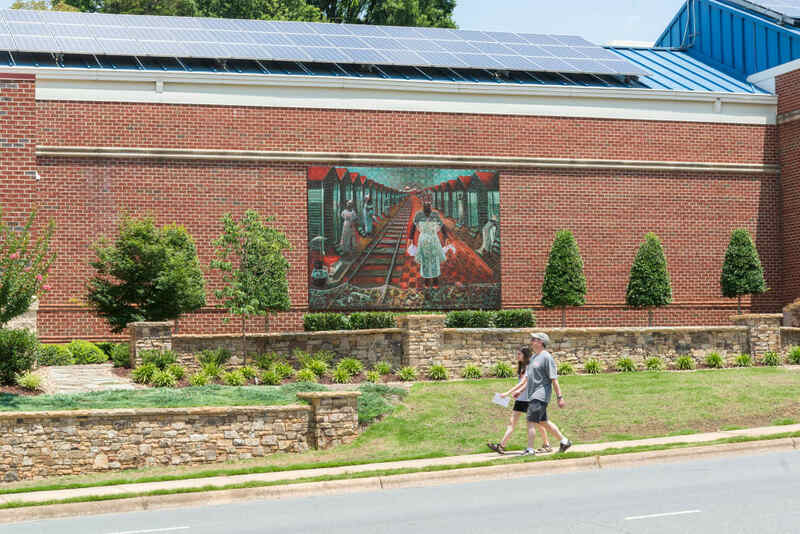 Written by Ann Gibson for Matcha in partnership with Gaston County Gov.